← Medallion Quilt – Top Done! Yesterday, I dropped into Sew With Vision (my local Pfaff/Husqvarna dealer) to check on stuff in preparation for two classes I’m offering this fall. I also needed some variegated thread for quilting the Medallion Quilt. Sitting on the checkout counter was a 2m piece of Benartex fabric for sale at such a ridiculously low price it screamed “take me home”. So I did. 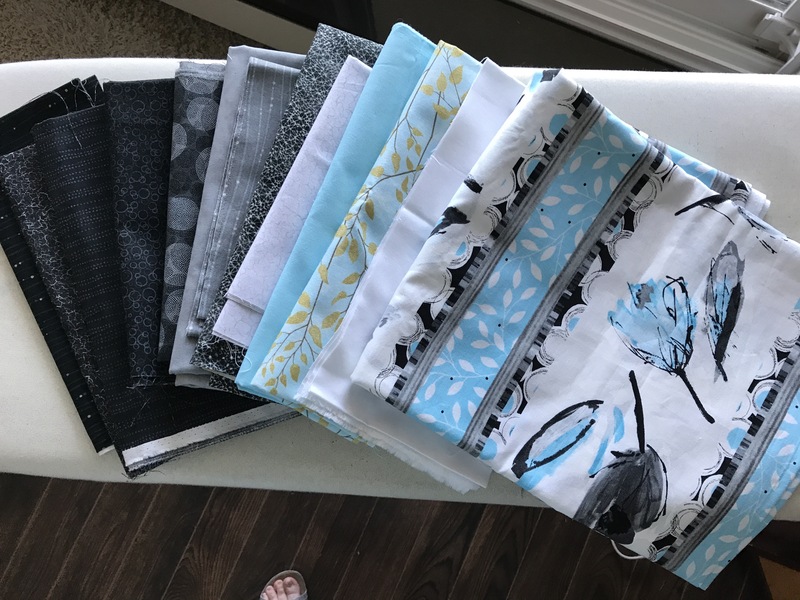 Next step: go through the stash to see what might go with it – lots of dark and lighter greys, but nothing in the right shade/print style of the turquoise. So I checked the selvage – found out I had fabric by Benartex: Cosmopolitan. I checked online: Turns out there were I think three colour ways: turquoise, yellow, and lime. There appears to still be some of the lime prints available but almost none of the turquoise. 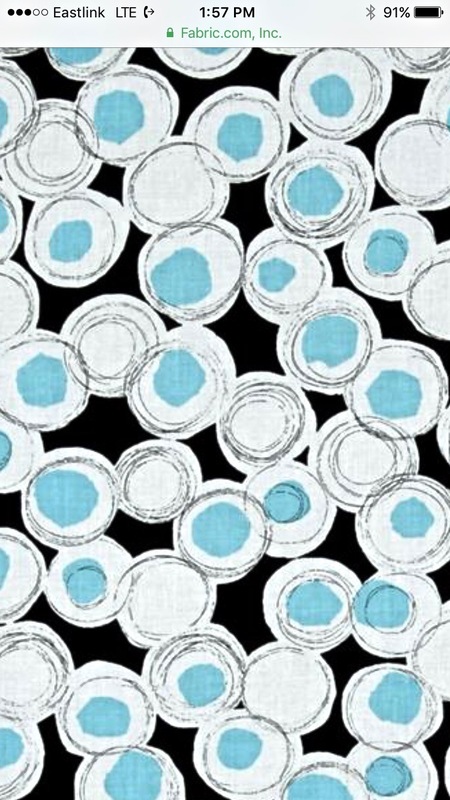 I did find a turquoise from the original collection at Fabric.com – 2 yds for $4.71/yard – it was the shipping that was horrendous! I walked away. But after shopping this afternoon for something that could possibly work (I found a Kona in almost the exact shade of turquoise as well as the turquoise with gold leaves at a local shop, both in the top photo) I came home and ordered 2 yds. To hell with the expense. That fabric is going to let me pull all the others together. BTW, this is definitely NOT going to be a medallion quilt! Something simple and modern – an improvisation for the Improvise A Quilt class in a couple of weeks. I look forward to see what’s to come!